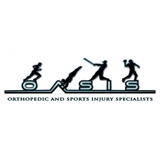 OASIS - Orthopedic and Sports Injury Specialists (Frisco) - Book Appointment Online! Our commitment is to deliver the highest standard of orthopedic care and personal attention to each and every patient. Doctor Michelson and his staff is very courteous and professional. Great environment and great information. So impressed with the amount of time Dr. Douthit spent with me to ensure I understood my diagnosis and the next steps toward recovery. Very thorough and genuinely concerned about my concerns and well being. Highly recommend!